The region of Apulia is once again a stylish destination. It has managed to relaunch itself because of its many fine qualities, including the warm welcome it provides to visitors and its high-quality offerings in all areas, from cuisine to culture. Indeed, today there is a kind of Renaissance underway in Apulia. The region has earned a new, more positive image that accurately reflects its spirit which is also expressed by the architecture and general look of small towns, each one grouped around an amazing Romanesque cathedral. There are also light touches of Byzantine culture to be observed among the imposing medieval architecture. Emperor Frederick II left his mark here as well, especially in the octagonal Castel del Monte citadel. Not to be forgotten is the splendor of Baroque Lecce. This famous style makes wonderful use of the local, very porous and malleable stone for a decorative glory that employs incredible creativity. The unmistakable star of the small towns is Trani. 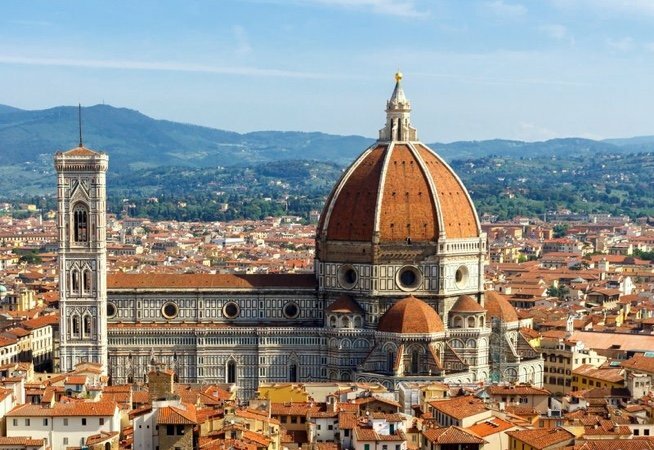 Its cathedral is a perfect and perfectly preserved example of the Romanesque style; it is one of the best and most evocative works of Italian architecture in the entire country. 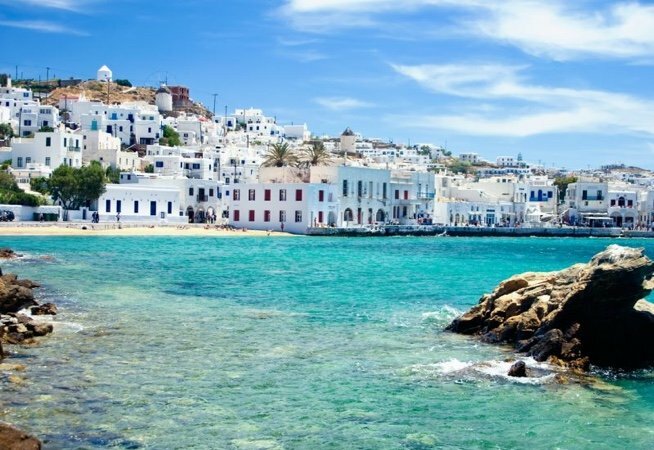 A region whose history was shaped by sailing people, Greeks, Byzantines, Arabs, Normans, and more. This land was dominated, during the centuries, by different ethnic groups, but still maintains the traditions that witness and represent the traces of its rulers. 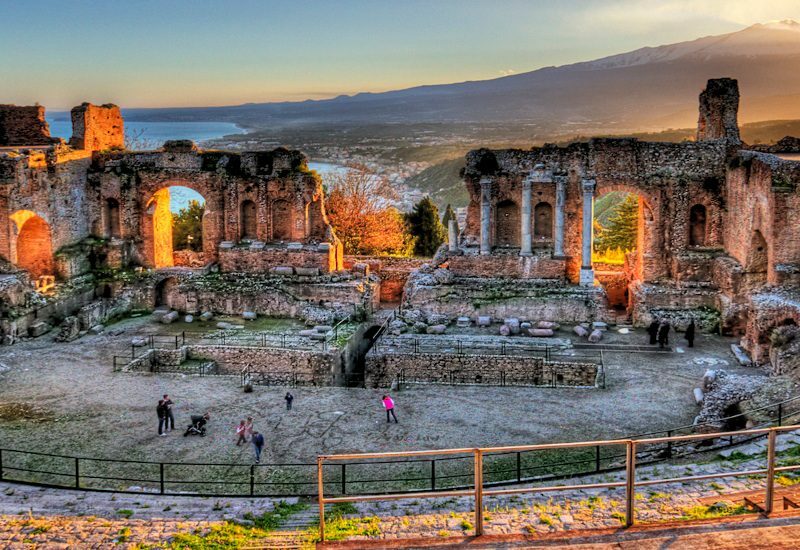 Originally called Magna Graecia, the artistic heritage of this region reflects its historical events and guards priceless treasures of pre-historical times and Magna Graecia’s culture. The National Museum of Reggio Calabria is home to the famous Bronzi di Riace, precious witnesses of bronze Greek sculpture of the 5th Century B.C. The art of the past is connected to the present traditional craftsmanship that has been passed on from generation to generation. Art and culture intertwine in symbols and popular traditions and are proposed over and over in folkloristic and religious festivals that are a typical characteristic of the region. The songs, customs, and religious traditions of the small villages are a priceless cultural inheritance, unique in the world. Calabria, offers a wide range of natural, adventure, artistic, popular, food and wine attractions together with its rich historical, cultural and ethnical heritage all mixing with its well-known sense of hospitality: different facets of an all-to-discover world in a region only. Calabria wants to create the right conditions to guarantee an unforgettable experience to its visitors so to involve all their five senses in order to leave them with wonderful memories. Last but not least, Calabria gastronomy which can be expressed with few words “Tastes and Scents of the Mediterranean”. The search for strong feelings in the products of nature make the Calabria gastronomy an art that is simple but full of traditions. It is worth mentioning the unique art of the preserves, nowhere more evident than in Calabria, thanks to its abundance of the products of nature; tomatoes, mushrooms, olives, to name a few. Fresh fish, such as tuna and swaordfish, sardines and an abundance of shell fish give Calabria an enviable gastronomy, prized world over. Arrival at Bari Airport and transfer, by private car and driver, to Aberobello. Upon arrival, check in at the Hotel La Chiusa di Cietri. In the morning, guided visit of Alberobello a UNESCO World Heritage Site and famous for its “trulli”, picturesque cone shaped houses that take us back in time to a traditional countryside life. After breakfast at the hotel, you will depart for an excursion to Lecce, well known for its many beautiful Baroque monuments. Due to the richness of its setting, Lecce can be defined as an elegant, sumptuous, open-air exhibition of Baroque art. Among its countless monuments: the wonderful façade of Santa Croce, Piazza del Duomo, one of Italy’s most beautiful squares, Sant’Oronzo square and the Roman Amphitheatre in Lecce. After breakfast, departure for Bari. Guided visit of “Citta Vecchia” (old town). From Bari transfer to Trani to visit the Romanesque Cathedral, a perfect example of the Romanesque style; it is one of the best and most evocative works of Italian architecture in the entire country. In the afternoon, departure forCastel del Monte, the octagonal castle and UNESCO World Heritage Site, built by Frederick II. After breakfast, departure for Cosenza with stop, en route, at Matera. Guided visit of Matera, a UNESCO World Heritage Site. The Sasso Barisano and the The Sasso Caveoso. Upon arrival at Cosenza. Check in at the VHotel Villa Fabiano. After breakfast, enjoy a guided excursion to Santa Severina. Visit to the Castle, the Battistero Bizantino and the Museo Diocesano. After breakfast at hotel, guided excursion to Fiumefreddo. In the afternoon, departure to Reggio Calabria. Check in at the E HOTEL. After breakfast, excursion to Scilla. Visit the fishing village, the old district of Chianalea and the Castle of Rufo. In the afternoon, guided tour of the Museo Nazionale della Magna Grecia, including the visit to view the famous "Bronzi di Riace". After breakfast, transfer to Reggio Calabria Airport, flight back to Boston via Rome.